The car still doesn't look like much. 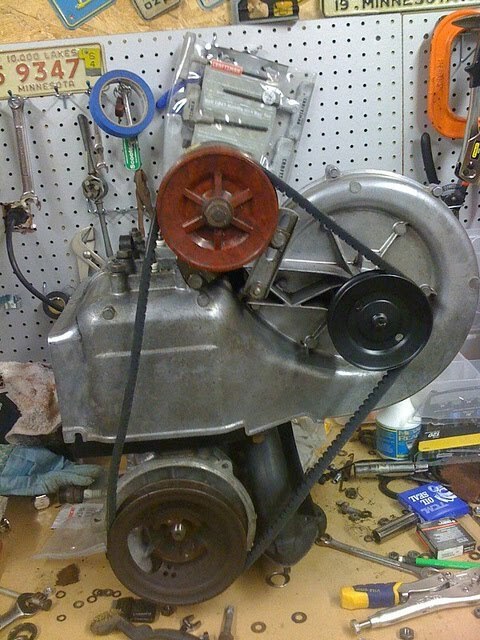 But I have been getting a lot of things done to get the Vespa 400 back on the road for the World Microcar Meet. I haven't cut any corners in the restoration, but I have put off many things at this point in hopes of having a running and driving car this summer. The biggest item is no paint or bodywork. The engine is finished, new pistons have been installed, the generator has been rebuilt and I put new bearings and seals in the fan cover. Oddly, the bearings in the fan are lubricated by oil in the shaft and has to be checked so the bearings don't become dry and fail. This week has also been a lot of painting little bits that I haven't even been thinking of at all. Like the metal tube that runs from the oil tank to the gas tank. I have also cleaned and painted the axle shafts and plan on replacing the bearings tomorrow.